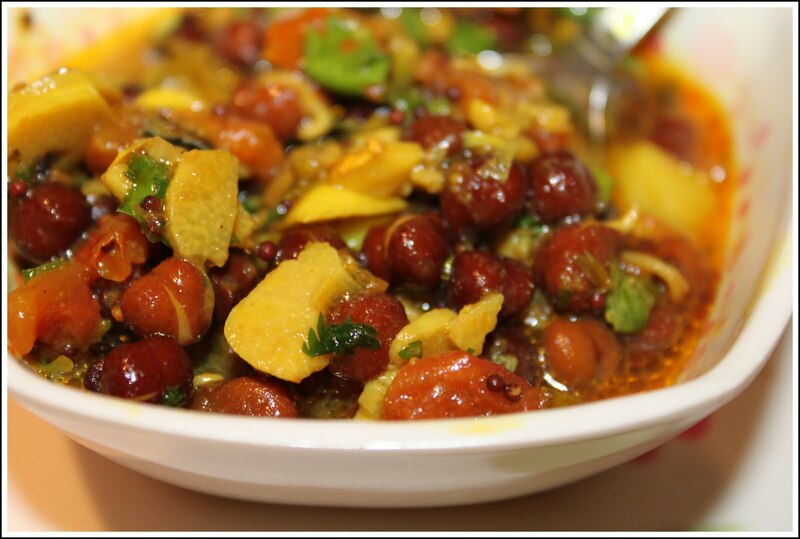 An authentic North Indian recipe of Chana Masala or Chole Masala. Cook the chana in a pressure cooker by adding bay leaf cinnamon cardamom turmeric and water. Close the lid of the pressure cooker and wait for the first whistle. AZfter first whistle keep the flame sim and cook for another 15 to 20 minutes. Remove from flame and keep aside without opening for another 10 minutes so that the steam goes off automatically. In a pan add asafoetida and cumin seeds in oil. Once the seeds splutter add ginger garlic paste and onion in to it. Saute till it is golden brown. Add coriander powder and chily powder into it. Saute for few minutes till it is golden brown. make sure it is not blackened. And sliced tomato into it and saute for another few minutes till the oil is separated. Add garam Masala and saute for 1 or 2 minutes. Aow add the previously cooked chana into this along with the water used for boiling.